The shared equity ownership specialist Rocksure has added two new villas and an apartment to its property portfolio. Shared equity ownership specialist Rocksure has announced the addition of two new villas to its Crystal Fund and a new apartment to its Capital Fund. Rocksure pioneered the concept of co-ownership of multiple residential properties in 2006. Instead of spending a large sum on single wholly-owned property at a single destination, clients invest smaller amounts in shared ownership properties, selecting from Rocksure’s portfolios of splendid fully-staffed international villas or exciting city apartments. The inaugural Alpha Fund, whose shareholders have been enjoying five luxury villas and an apartment in Manhattan for the last seven years, has now closed and the properties are in the process of being put on the open market. More than more than 50% of its investors have expressed their intent to reinvest. A new apartment in Vienna has been added to Rocksure’s Capital Fund. In Vienna, a new two bedroom apartment has been added to the Capital Fund. 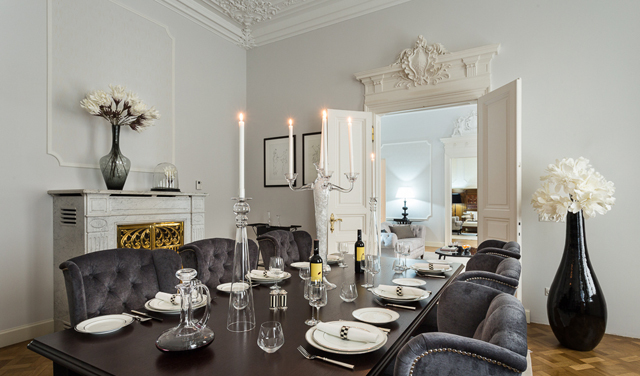 Located in a former palace close to the city’s most famous shopping street, the Mariahilferstrasse, the spacious and elegant home features historic wooden features, high ceilings and antique plaster mouldings. For a one off sum of as little as €60,000 (plus modest annual dues) investors can join this fund and co-own ten luxury apartments and townhouses across Europe (Barcelona, Vienna, Florence, Prague, Cannes, Marbella, London, Paris, Rome and Venice) and use them for up to 12 nights a year. This villa in Casa Leona, Andalucia, has been added to Rocksure’s Crystal Fund. Two new sumptuous villas – one in Andalucía and the other in Antigua have been added to Rocksure’s Crystal Fund. Investment is from £115,000 and guarantees up to 3 weeks annual usage of the residences in Andalucía, Antigua, Provence, South-West Turkey, Algarve and Marrakech. The life of the fund will be seven years and as with the Capital Fund, when the Crystal Fund expires, the properties will be sold and the proceeds and any profits distributed amongst shareholders.